It’s Monday now, so Made in the UK Week (AKA Project Awesome) has finally drawn to a close. It’s a time that will be filled with bittersweet memories as Batman finally leaves the bit-tech page and we all have to go back to the look of the old site – but don’t despair! There’s one more thing I have left! 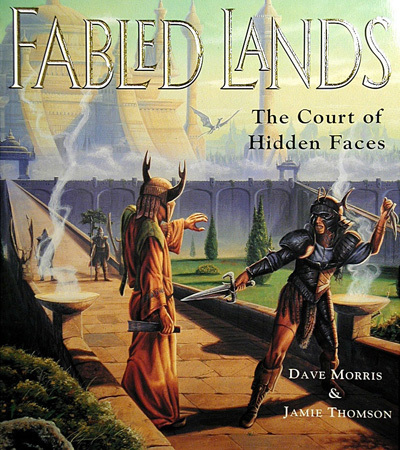 The article I enjoyed writing the most over last week was undoubtedly the Fabled Lands: The MMO that Never Was feature, which looked at Dave Morris and Jamie Thompson's attempts to turn their gamebook series into an MMO with Eidos. It's my favourite because, not only did it give me a chance to talk to some childhood heroes of mine, it also revealed them to be thoroughly nice chaps. Dave and Jamie took a lot of time to answer my questions for the article, many of which didn’t get incorporated into the final feature. So, as an epilogue to Made in the UK Week and as a final bit of surprise content, I’ve decided to post the unedited, original interview transcription below, which, for the sake of simplicity and page length, I’ve made available for download above.